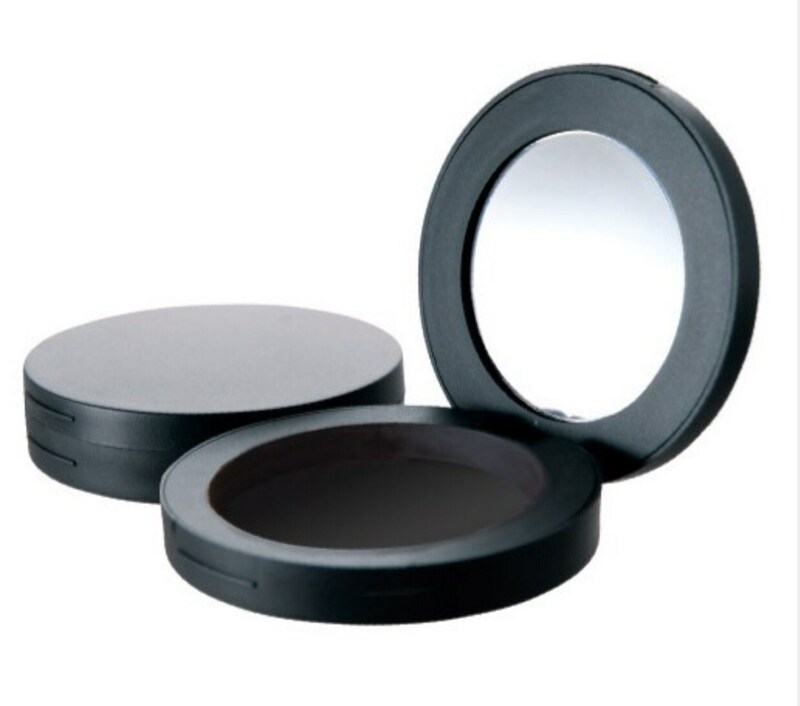 Empty round black compact (matte or shiny depending on my stock) with mirror to fit our 36mm pans (will also fit 37mm pans). You can decorate this in ANY WAY you wish and make a little DIY project out of it :) it will also come with a magnet to place in the bottom of the compact and you can pop your tin pan right in there! Interchangeable if you want to switch out colors! Pan can easily be removed because it's held in with a magnet!